In 1977 William J. Fulton graduated from the University of Pittsburgh School of law, returned to Harrisburg, Pennsylvania, and began his career practicing criminal law as a Dauphin County Public Defender. Since then, he has devoted the majority of his practice to representing clients from all walks of life in defense of criminal allegations in State and Federal Courts throughout central and Eastern Pennsylvania. His practice is not geographically confined, but most of his cases are heard in Dauphin and surrounding Central Pennsylvania counties. Since 1991, Attorney Fulton has maintained his own practice from offices at 106 Walnut Street in downtown Harrisburg, Pennsylvania. The Dauphin County Courthouse is one block to the South and the Federal Courthouse is two blocks up Walnut Street to the East. The State Capitol Building and most Commonwealth agency offices are within walking distance. Although he attempts to limit the caseload to criminal defense matters, his practice and experience extend from attending summary trials and hearings before District Justices to misdemeanors and felonies in state court to representing white collar defendants in complex federal criminal cases. In addition, Fulton practices before Commonwealth administrative agencies, such as the Department of Transportation, Bureau of Driver Licensing, the Pennsylvania Liqour Control Board and professional licensing boards. He also represents appellants in cases before the Supreme Court of Pennsylvania, the Superior Court of Pennsyvlania, Commonwealth Court and the United States Court of Appeals for the Third Circuit. William J. Fulton is a member of the Dauphin County and Pennsylvania Bar Associations and the Pennsylvania Association of Criminal Defense Lawyers and he has served as a federal criminal defense lawyer on the Criminal Justice Act Panel in the United States District Court for the Middle District of Pennsylvania since 1983. 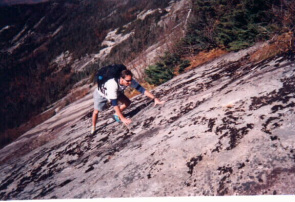 He also is a member of the Harrisburg YMCA, the Climbnasium in Mechanicsburg, PA, the Adirondack Mountain Club and the Pennsylvania Mountaineering Association.